Happy New Year !!! We hope this post finds you all happy, healthy, and rested. As we begin our week here are a few reminders. Please remember to return your kiddos HW folder daily and to empty it out so that important letters and notices don’t go unnoticed. As we begin our second half of the year please remember that everyday your kiddo needs a lunch and a snack. If they are bringing their lunch make sure to label it with their names and the letter “L” and for snack, the letter “S”. Please remember that as flu and cold season are upon us- make sure your kiddos come to school healthy and fever free. Please make sure to have your kiddos log onto Raz Kids nightly – our end of the year goal is a level E/F…and the end of the year is fast approaching. Please take a moment to read through our Kinder Newsletter. Click on the link to read up about all of our learning for the week. With our new year comes a need for some new donations. Below is a list of items our classrooms all need as we begin the second half of the year. Our PTA Family Fun Bingo Night will be this Friday, January 25th starting at 5:30pm. Please save the date for our Family STEAM night taking place on Thursday, January 31st at 6:30pm. A flyer was sent home last week. Please review the flyer, plan you evening, and bring the flyer with you to the event. It is hard to believe that it is already time to begin planning for registration for the 2019-2020 school year! Please let your friends and neighbors know that Kindergarten registration packets will be available for pick up on Wednesday, February 6th. Kindergarten Registration packets will be accepted on Wednesday, February 20th. Please feel free to contact us if you have any questions regarding registration for the 2019 -2020 school year. If your children are at Wolf Canyon on a Zone Transfer, please be sure to renew your transfer for the 2019-2020 school year. Please stop by the office to submit your Zone Transfer as soon as possible. Our school is getting ready to kick off Kids HeartChallenge (formerly known as Jump Rope for Heart) with the American Heart Association. Help us fight heartdisease by earning our Heart Heroes Echo, Finn and Ruby right now! As a special BONUS at our school you can also earn plush FINN, by raising $150 online! Get recognized and earn your heart heroes and FINN plush early at our assembly on 1/25/2019! Get started now by going online CLICK HERE to Sign Up and search Wolf Canyon Elementary School. You can earn a glow in the dark members only wristband just for registering! Our school’s Kids Heart Challenge event day is coming up! We will have 65 teachers and principals at our school today. Parking will be impacted. Please plan accordingly . Kinder dismissal at 1:30 p.m.
1-6 dismissal at 1:45 p.m.
Well we made it… tomorrow is our last day of 2nd Quarter…. phew…..
Just a reminder that report cards are coming home tomorrow in your kiddos HW folders. Please take the time to open it u and read it through. Also- tomorrow is an all school spirit day Hawaiian Dress Up Day… so please no PJ’s as we stated in earlier posts… Just Hawaiian tomorrow 12/21. As we begin our week here are a few reminders to keep you on track. We do apologize for not posting an update last week- we had some technical difficulties but we are back. 1. Next week is our last week of 2nd Quarter and report cards will come home on Friday- 12/21, as well as some fun Holiday crafts too. 2. For our last Friday- Dec. 21 we are planning on having a fun PJ day, with popcorn, juice, holiday cookies, and some fun Holiday movies. We are looking for donations of 24 Capri Sun juices for each of our classes as well as some pre-popped bags of popcorn (Smart and Final) for all 4 classes. If you are able to donate please let your teacher know- it will help us out greatly. 3. Please remember that snacks needs to be sent everyday. Often we have at least 10-15 kiddos without snacks and that makes for a long afternoon. It can be as simple as a juice and a banana, apple or even crackers and cheese. 4. Our School Christmas Store opens this week- information will come home this week about this great shopping opportunity for our littles. See below for more information. Below you will find the link to our weekly Kinder Newsletter. Please take a moment to click on the link to read up about all of our learning for the week. The Holiday Gift Shop will begin Wednesday 12/12/18 and run through Wednesday 12/19/18. PTA needs Volunteers!!! Please email wolfcanyonpta@gmail.com if interested in helping! Holiday Grams Pre-sale will begin 12/10/18 thru 12/14/18 before and after school. See PTA table out front to buy your student a holiday gram! Holiday gram delivery will be 12/19/18, Wednesday! 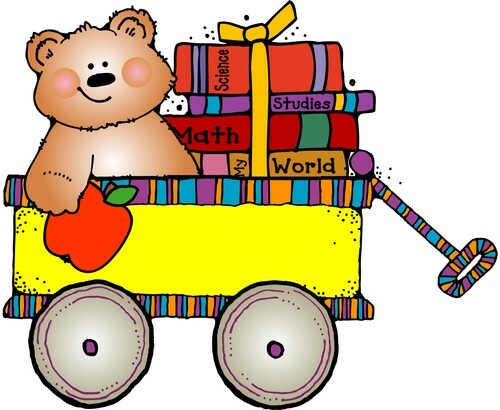 HW packets will be sent home today- please note make sure that your kiddo writes their name on their HW packet. Often they come back without names and then your kiddo does not get credit for their hard work. Please remember Raz Kids needs to be done daily and with consistency. As we look over our weekly reports we are finding that kiddos have not been on in over 12 days…. Our end of the year goal is a Level E/F… if your kiddo is still on Level A… you need to get reading. APEX continues and please remember this is a great fundraiser for our school. Be sure to login tonight and begin watching this year’s STRONG theme videos. These videos are used as a tool to reinforce each leadership lesson outside of the classroom. We will be running this Thursday. The Fall Book Fair begins this Friday. If you are interested in volunteering, please sign up using the link below. As you begin shopping for the holidays, don’t forget Wolf Canyon Elementary PTA. Please follow the link below, so our school can receive a percentage of the purchase price. Thank you!! PTA association meeting Tuesday at 6:30. We will be serving dinner. Please come to our meeting as we will be electing our nomination committing for the 2019-2020 PTA Board. Our Stone Soup Sing Along is this Friday- Nov. 16th at 12:45 in your child’s classroom. There is no need to check into the office- please come right to the classrooms through our dismissal gate. We will start by singing some songs and then share some of our work and finally enjoy some Stone Soup. If for some reason you can’t make this very special event- please let us know. Coming home on Tuesday (11/13)- your child will have a half sheet that tells you which vegetable to send to school on Thursday (11/15). Please make sure the vegetable is uncooked and clean. If you are able to donate for this please email or speak with your child’s teacher…thank you so much- this helps us a lot. Below is the link to our weekly Kinder Newsletter…please take a moment to click on the link to learn about all of our learning for the week. Our annual Stone Soup Sing Along is fast approaching. Mark your calendars for Nov. 16th at 12:45… we invite all parents to come to our classrooms for a fun Stone Soup Sing Along. We will sing a few holiday songs and then enjoy some of our Stone Soup. A note will be sent home this week as a reminder. Closer to the event we will send home a note requesting a raw, uncooked, clean vegetable for our Stone Soup. Please remember that next Monday (11/12)- is a legal school holiday in honor of Veteran’s Day. Just a friendly reminder that homework is sent home every Monday and should be returned the following Monday. When doing homework it is vital that your child complete the work as independently as possible with support as needed. Below is the link to our weekly newsletter. Please take a moment to click on the link to read up about all of our learning for the week. Halloween is this Wed. 10/31- there are to be no costumes worn to school per our school wide policy. However, the kiddos can wear their comfy PJ’s to school instead… that way their costume stays nice and neat at home. Just a reminder that we have lots of students who are not bringing their snacks… please remember that our lunch is at 10:30 and by 1:00 they are very hungry for snacks. Mark your calendars: Nov. 16th is our annual Stone Soup Thanksgiving Sing Along for our parents. More info will come sooner to the event. Our time for this is roughly 12:00 to 1:30… (please know the time may change a bit later as we finalize the details.) We will sing some fun songs in our classrooms and then afterwards enjoy some yummy stone soup made by our classes. Get you Masquerade pre-sale tickets before and after school on Monday and Tuesday as well as after school on Wednesday and Thursday. Tickets are $5 for PTA members and $15 for non-members. Prices will increase at the door. Below is the link to our weekly newsletter. Please take a moment to click on the lnk to read up about our learning for the week. As we begin our week of learning here are a few reminders.. This week we celebrate Red Ribbon Week which ends with Law Enforcement Day this Friday (10/26). 2. Please remember to send a snack daily with your kiddos from Mon. thru Thursday. It is important that their snack food be placed in a bag and is labeled with their name. Thank You. 3. Thank you all so much for the donation of pumpkins… our classrooms have sprouted a pumpkin patch overnight… and we can’t wait to explore them this week. Below is this weeks Kinder Newsletter. Please click on the link to read up about all of our learning for the week. 1. Don’t forget to send HW packets on Monday- completed. 2. Remember that we have snack daily Mon through Thurs. so please send snacks (marked as ‘S’) with your kiddos. Thank you. 3. Picture Day is this Wed. 10/17… so please plan accordingly. 4. We are going to begin learning about pumpkins…and we are in need of small to medium sized pumpkins… starting this Wed.- Oct. 17th. Just a reminder that Parent Teacher Conferences continue this week (9/17 thru 9/20) and we are on minimum day dismissal at 1:30 daily. The Scholastic Book Fair continues… and we can’t thank you all enough for all of the new donations for our classrooms… they are amazing. It’s like Christmas for us in September. Remember to return all library books before going out on break. As we are on minimum day schedule this week there is no need for snacks to be sent- no snack recess with our minimum day dismissal. As we begin to send home the information about Raz-Kids during our Conferences below is a link to Raz Kids.. It’s also listed on our HW Help page on our blog too.